In this section I'll detail out my notes on the identification part of SANS 504. I'll also have a look at a brand-new Azure VM and have a look at what is running. "what other possibilities are there"? In this section I'm going to use some commands from the windows cheat sheet to have a look at a net new Azure VM. 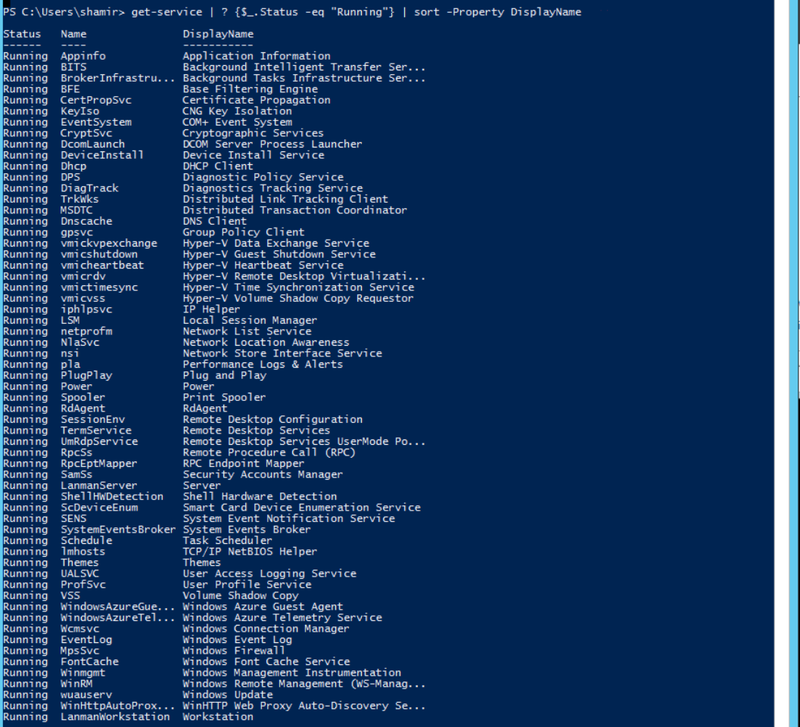 The first is a look at the running services in an Azure VM. Now let's have a look at which features are installed by default. A pretty small set of features is installed. Most are required because I am running a GUI and not a nano/core install. It has been a long time since I've installed/used a windows server not on Azure, so I'm not sure what the base feature set is. There are some interesting ones such as "Enhanced Storage". Next, let's have a look at network connections. Looks like by default my Azure VM is talking out to the internet. Curious, wonder what that could be. The second address appears to be a link to the storage stamp associated with this VM. The first, based on the waappagent logs, appears to be the fabric address. Okay, cool cool. Good to know that I need those connections and, further, that they are persistent even after initial setup. This is obviously only true if you have installed the guest agent. You can choose to opt out of this install. Lastly, lets have a look at the scheduled tasks that have triggers and are not disabled.